Every day designers of the whole world create, develop and depict their ideas in landscape design drawings for further implementing them to the life. ConceptDraw DIAGRAM software provides the Site Plans Solution from the Building Plans Area for quick and easy creating detailed site plans, landscape design drawings, plant maps, etc. 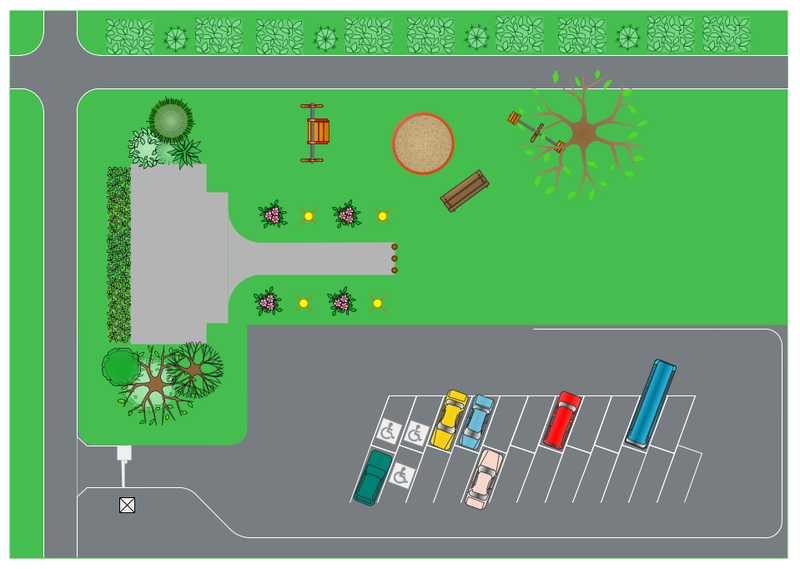 If you dream create your landscape design drawings quick and easy – the powerful drawing tools, 3 libraries of predesigned vector objects, templates and samples from the Site Plans Solution for ConceptDraw DIAGRAM software is exactly what you need. 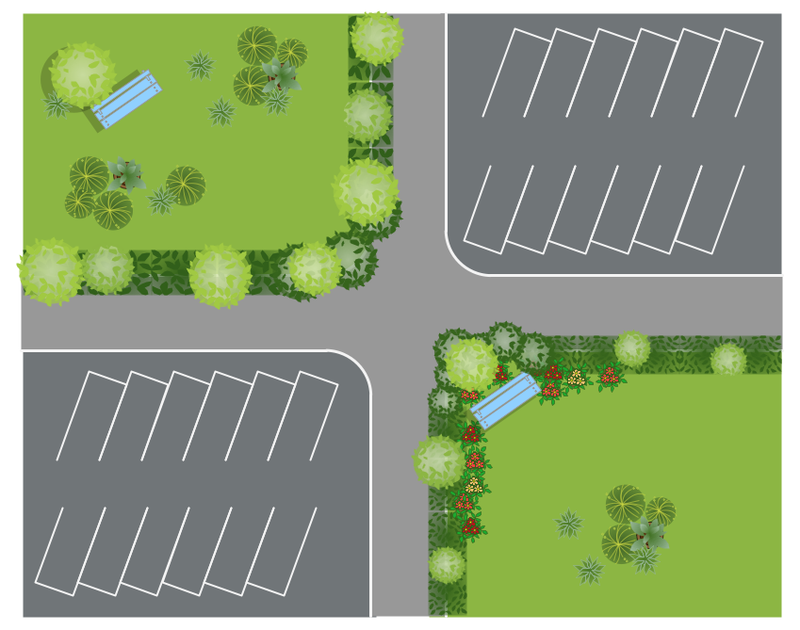 The landscape design drawings you see on this page were created in ConceptDraw DIAGRAM using the Site Plans Solution for ConceptDraw DIAGRAM An experienced user spent 10 minutes creating every of these samples. Use the Site Plans Solution for ConceptDraw DIAGRAM software to create your own professional looking site plans of any complexity quick, easy and effective, and then successfully use them in your work activity.